Published: Nov. 4, 2018 at 07:12 p.m. Published: Oct. 7, 2018 at 05:48 p.m. 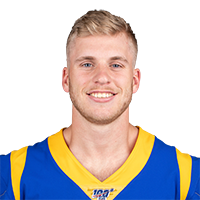 Published: Sept. 28, 2018 at 01:14 a.m.
Los Angeles Rams wide receiver Cooper Kupp catches from Los Angeles Rams quarterback Jared Goff and runs for 70-yards for a touchdown against the Minnesota Vikings. Los Angeles Rams wide receiver Cooper Kupp catches pinpoint touchdown over two Minnesota Vikings defenders.